This is a preview on a project that is in work now: a quad channel volume control based on the PGA4311. The PCB is 5x5cm small. 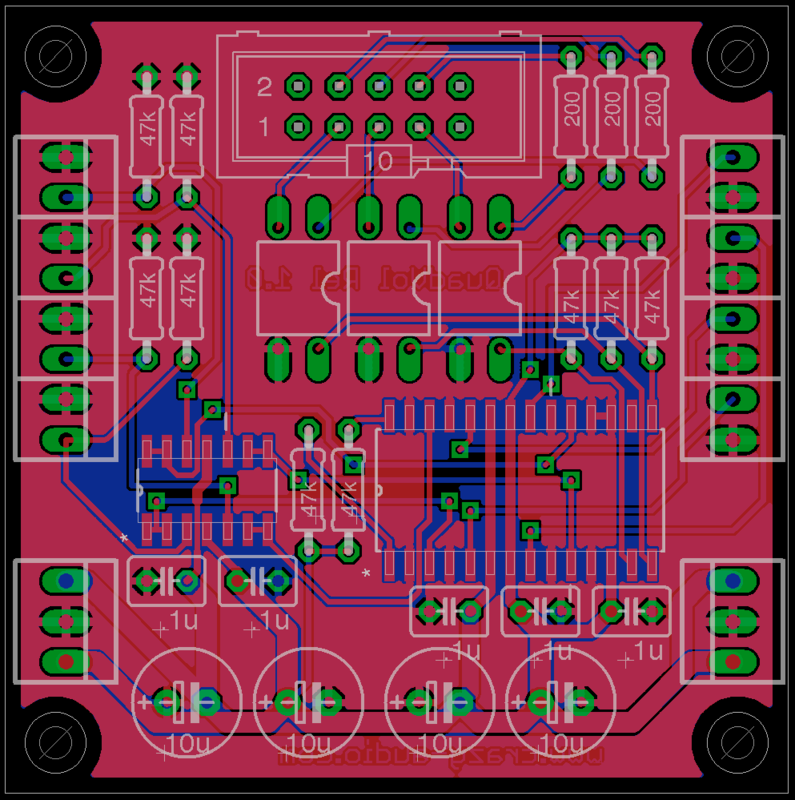 SMD parts will only be used if needed (the PGA 4311 and a quad opamp). This entry was posted in Projects and tagged diy, pcb, preamp on March 22, 2013 by Daniel.